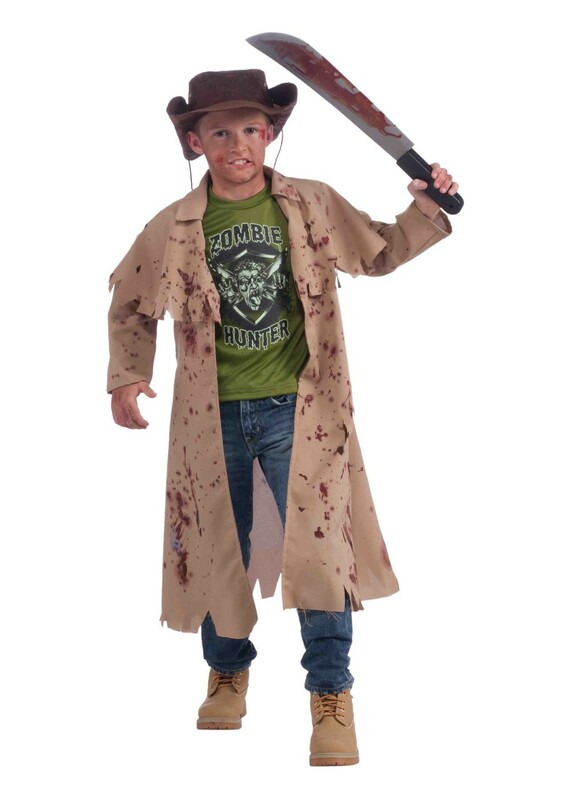 Child Zombie Hunter Costume. Available in size Medium, Large. In a post apocalyptic wasteland where zombies roam free looking for brains to eat, your little guy can be the hero that saves us all! A true zombie hunter, covered in the blood of his previous victims, no zombie is safe from him. 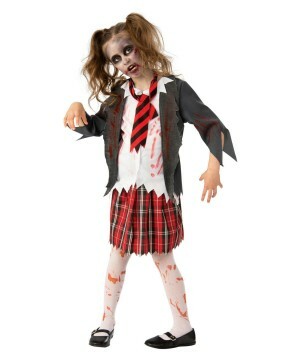 An enemy of the undead and a protector of the living, this costume is perfect for your little hero! 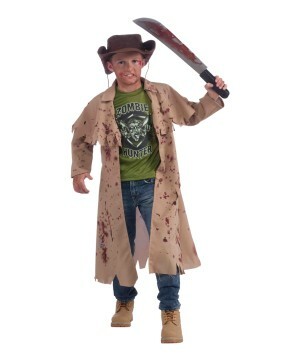 Review(s) for " Child Zombie Hunter Costume"